Want to sample some of the best barbeque pork from the region? 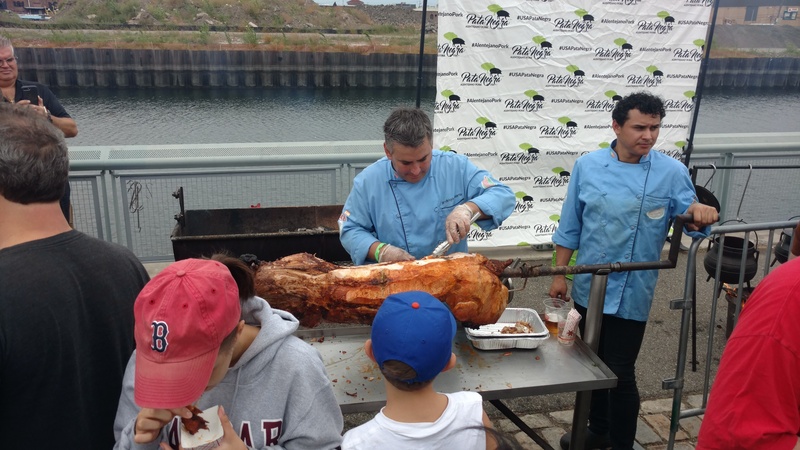 Look no further than Pig Island, an annual event in Red Hook, Brooklyn. At the event, you could sample several different pork dishes as well as drinks. This year there was several different whiskeys, ciders, and beer as well to taste. There were musical performances and on the park, you could relax and eat while enjoying the view of the water. The food was excellent but was gone too quickly! Pro Tip: Get there early so you can secure your spot at in the park, and get first dibs on some great food! 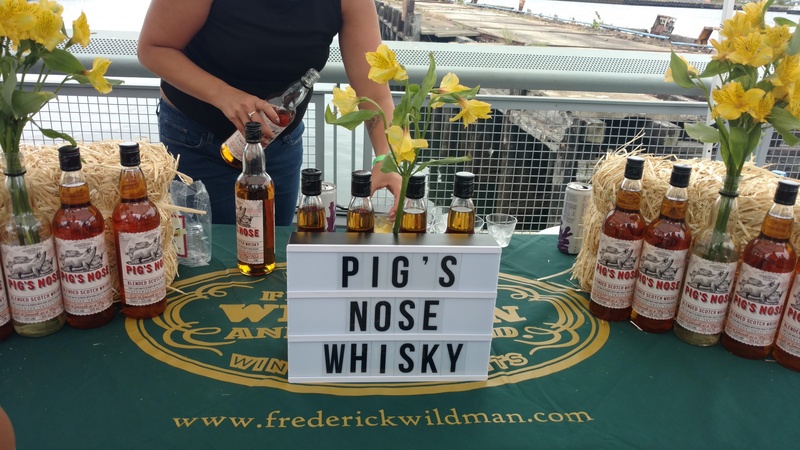 This was the 9th annual Pig Island NYC event and it was held on Saturday, September 8th on the Red Hook, Brooklyn waterfront. 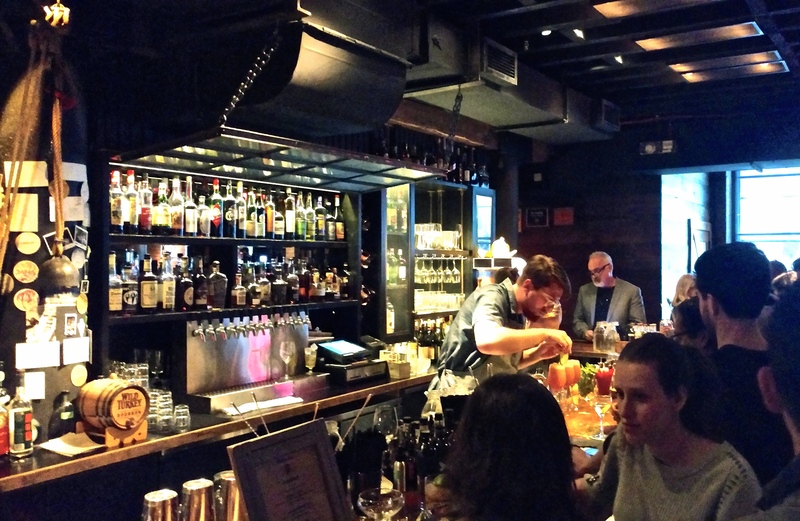 Where could one go to sip a cocktail with a little Southern charm in New York City? Porchlight is the answer for sure. Located on the far Westside of Manhattan, in the remnants of Hell’s Kitchen, it’s a quiet, unassuming get away with a little rustic feel. Part of high-end restauranteur Danny Meyer’s empire, Porchlight is a step away from the usual fine dining suspects. 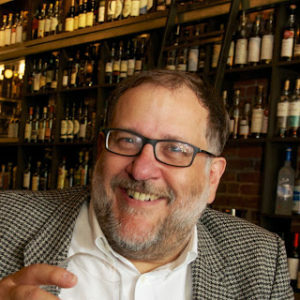 His armada of flagships include: the Michelin-starred Gramercy Tavern, The Modern, and the minimalist Untitled at the Whitney Museum; the more relaxed and casual, Porchlight, however, still follows Meyer’s ethos of hospitality. Part of its charm is its off-the-beaten-path location. While the Hudson Yards, just to the North, is in the midst of a massive, skyscraper makeover resembling the skyline of Dubai, Porchlight is a Bohemian sanctuary, reminiscent of a grittier, cutting-edge New York. But once you enter Porchlight’s doors, you can detect Meyer’s unmistakeable presence with the warm welcome. 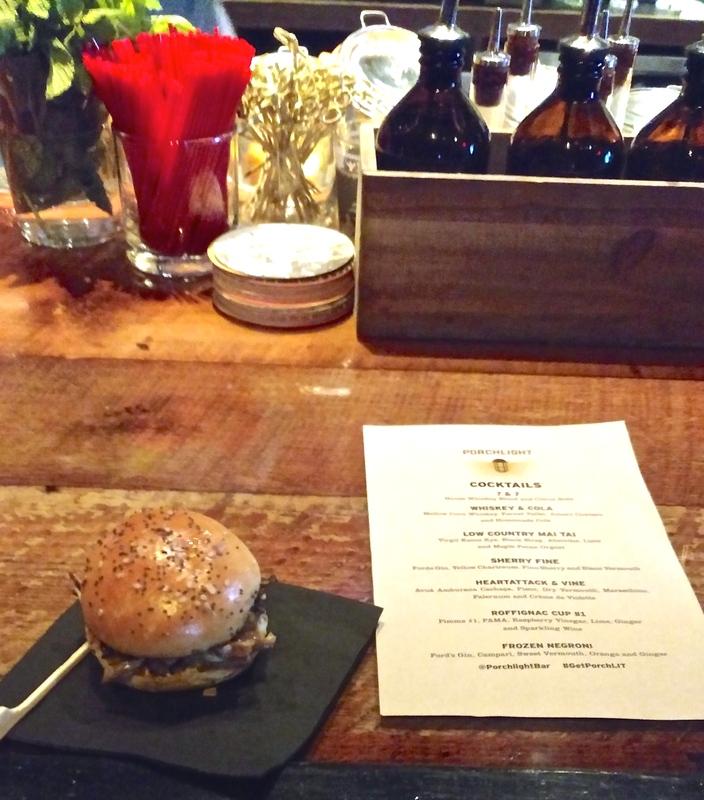 Our evening at Porchlight was full excellent food and great drinks. The décor was dark but intimate, and the lighting draws patrons to the bar to get a taste of various libations. The bar bites were delicious from Chef Anton Nocito’s essential Southern comforts like Hush Puppies, to fried chicken bites and mushroom sliders, there was something for everyone to enjoy. Adding to the effect with a certain quirkiness, Tara Linhardt’s Bluegrass Jam gave their folky twist on modern songs, setting the mood for the night. The drink cocktails by head bartender Nicholas Bennett were excellent and bravely combined new flavors. The Sherry Fine was a smooth drink that Gin lovers would appreciate. 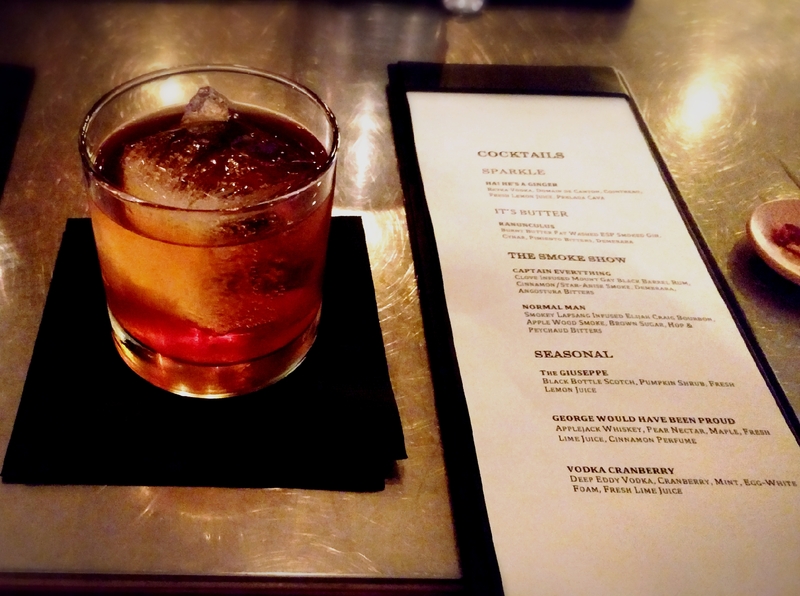 For those looking for something a bit sweet and simpler, Porchlight’s Whiskey & Cola cocktail was a pleasure. Much of drink selection reflected seasonality, and with summer, comes vibrance and refreshing mixes. 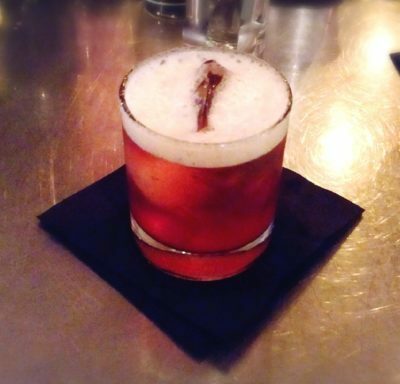 The Frozen Negroni was a perfect heatwave remedy that would sooth anyone on hot summer day. Finally, The Heart Attack & Vine had a great array of flavors, which was yet still easy on the palate. Very clever. All of these elements together transported us from the New York streets to a warm and friendly Southern shindig. If you’re craving a splash of the Deep South in NYC, without being gimmicky, definitely put the Porchlight on your radar. Porchlight is located on 271 11th Ave. 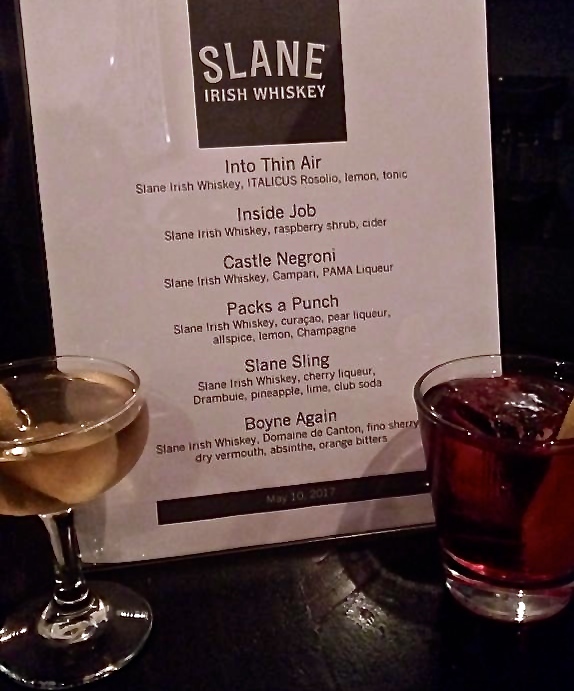 The introduction of Slane Irish Whiskey was a special one and the Middle Branch speakeasy was the perfect place to showcase the taste and explain the history behind this new libation. Middle Branch is a speakeasy on East 33rd Street, and it’s a bit hidden for those who are going for the first time. Just be aware to look for the black door with a small light outside, which will lead you to an intoxicating venue with new décor and scents. Once inside Middle Branch, it has a very intimate and cozy setting that gets you in the mood to drink and relax. Slane Whiskey was on display on every table, proudly showcasing to all that there was a new whiskey to enjoy. 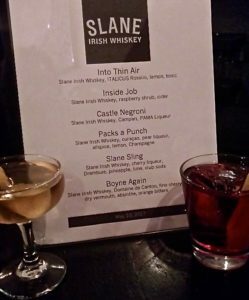 There was a list of cocktails that were specifically made to bring out the great taste of Slane in new and delectable ways. With cocktails such as the amazing Slane Sling and delicious Inside Job, there were plenty of cocktail choices for any whiskey lover to choose from. For those who are new to whiskey cocktails, I would recommend the Inside Job cocktail, very smooth with a subtle sweetness that will surely make you crave another. A great aspect of Slane Whiskey is how smooth it is, even when tasting the whiskey neat, it doesn’t taste overpowering at all. 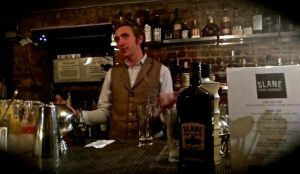 Alex Conyngham, whose family owns Slane Whiskey, began to explain the roots of the brand and the Rock & Roll history behind it. The name “Slane” comes from an Irish town, which is known to have a massive castle that the Conyngham’s have owned since the 18th century. Slane Castle Concert series takes place at the castle, which was founded by Alex’s father Henry Conyngham. Many classic bands have played there over the past 30 years, with Guns N Roses poised to make an appearance there later this month as well. The Slane family has taken this Rock’n Roll theme along with the history of the town of Slane to create this amazing whiskey. For more information on upcoming events. visit Middle Branch Speakeasy. Fluffy biscuits are always a delight to have, but what could possibly make them better? How about some locally made bourbon? 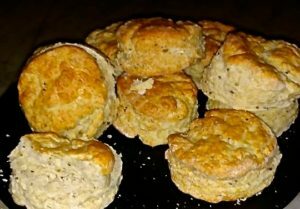 At East Village artisanal food mecca Jimmy’s No.43, guests had a wonderful evening full of bourbon tasting and delicious biscuits and scones. Bourbon connoisseur Lew Bryson, our evening’s host, walked us through the different types of bourbon we would be sampling along with tidbits on what goes into a bourbon and what to look for when tasting them. He’s no stranger to the industry, with hundreds of malt missions complete with detailed tasting notes on his blog. Bryson’s book, Tasting Whiskey, a sort of bible of distillery, is also a wonderful guide, essential for what adventurous bourbon tasters should look for in their drinks. The biscuits by Elizabeth Santiso’s Brooklyn Biscuit Company beautifully complemented the bourbon and pulled pork, provided by Flying Pigs Farm. The whole night was informative and fun, as everyone connected over great bourbon and amazing food. It has long been a myth that bourbon could only come from Kentucky. As long as the distiller adheres to the stringent guidelines, however, bourbon can come from anywhere. In recent times, New York’s bourbon distilleries have risen into prominence, bringing serious competition to the industry. Featured distilleries such as: Hudson Baby Bourbon Whiskey, Still House Bourbon Whiskey, Black Dirt Bourbon Whiskey and Kings County Distillery Bourbon have helped put New York on the bourbon map, giving the competition a serious run for its money. While selection of New York whiskeys this evening at Jimmy’s No. 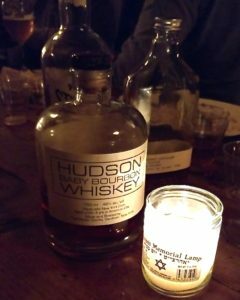 43 were all top notch, my favorite of the night was the Hudson Baby Bourbon, which had a smooth taste and a light burn, yet both accessible enough to newcomers and refreshing for more seasoned bourbon lovers. Black Dirt Bourbon Whiskey, was another unique standout, and it had a more pronounced warmth to it as well. In terms of taste, aroma and texture, the bourbons had been made with expert knowledge and passion. It was a real treat to see what New York has to offer and learn how best to enjoy them. For upcoming events visit Jimmy’s No.43 and don’t miss Brisket King of NYC cook off, where over two dozen chefs cook off in the best barbecue competition. REVIEW: ONE STEP BEYOND with The Brothers Macklovitch, Prince Klassen, and DIRTYFINGER. 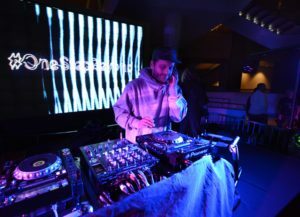 A diverse cast of DJ’s playing the best beats under the stars of AMNH’s Hayden Planetarium, led to an excellent night of music. In front a packed house, Dirtyfinger, Prince Klassen and Brothers Macklovitch put on an amazing show. 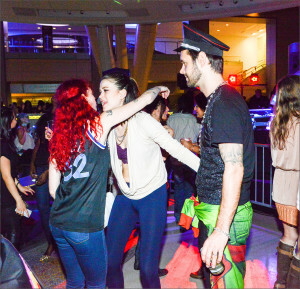 Even from the beginning, the dance floor was buzzing with excitement and ready to unleash in a dance off. The Brothers Macklovitch ©AMNH/C. Chesek. DirtyFinger and Prince Klassen kicked the party with some great tunes and got the crowd warmed up for The Brothers Macklovitch. DirtyFinger has played all over the Brooklyn in spots such as Tender Trap and other loft parties, and has taken his skills worldwide. Prince Klassen also brought great vibes to the party, and he is currently playing in Brooklyn as well and hosts the Turntable radio Podcast. When The Brothers Macklovitch came on, they really turned up the heat and played amazing tracks with a good mix of old school beats and the newest trap music. 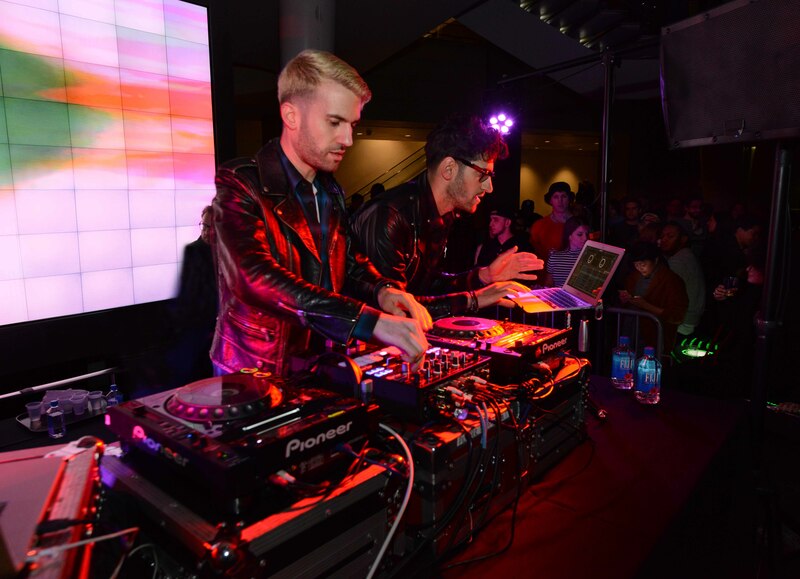 Legendary superstar A-Trak and Chromeo’s Dave 1, the brother duo has turned house into a family business. 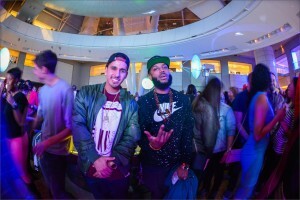 Originally from Montréal, Canada, the two have an impressive pedigree of high end projects, from launching Fool’s Gold Label almost 10 years ago and has toured with likes of rapper Kanye West. Dave 1, one half of electro-funky Chromeo, guitarist and singer, joined A-Trak and created Canadian Hip Hop label Audio Research Records. From playing all over the world and playing in the best festivals, the crowd was hyped to hear them play. Their set included a great mix of old club classics, trap music, electronic music, and Hip Hop staples. As usual the visuals above the planetarium dance floor were amazing and dancers young and old loved every bit of it. 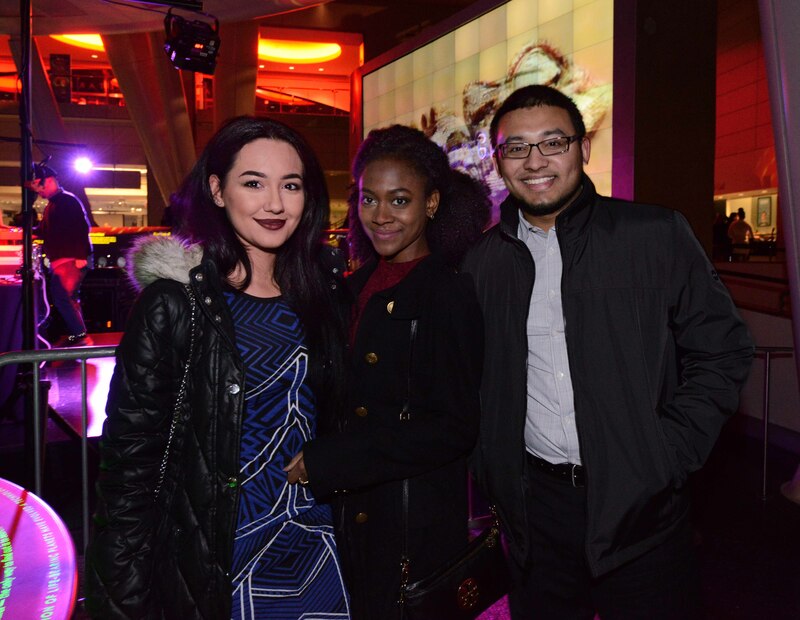 It was a great mix of modern jams and old school classics that made this event a must see. One Step Beyond, 2/3/2017 ©AMNH/C. Chesek. 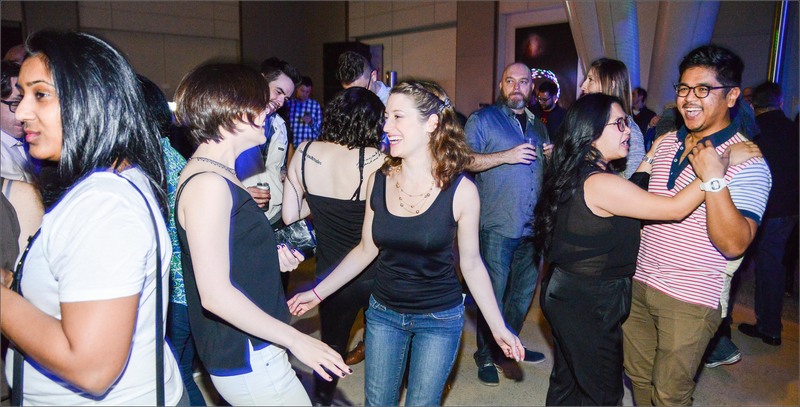 For information on upcoming dance parties at the American Museum of Natural History, visit One Step Beyond. 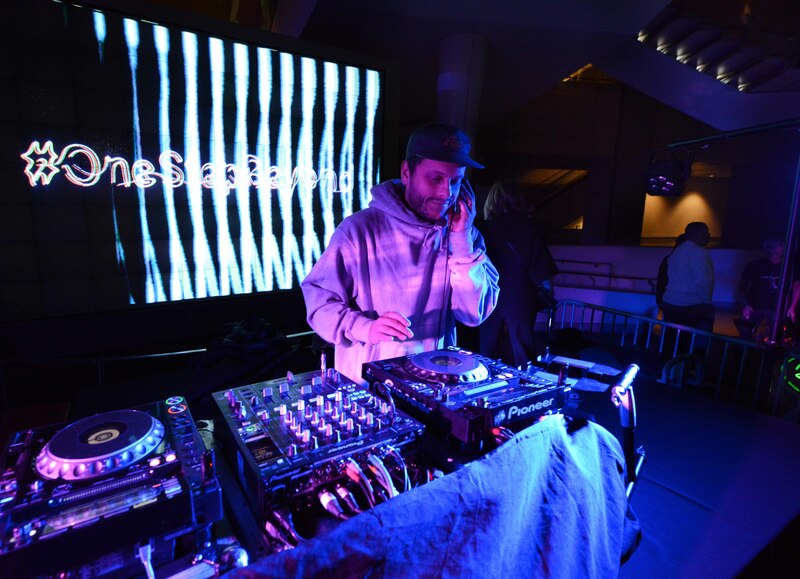 Review: As more people poured into the AMNH’s Hayden Planetarium, the crowd began to swell near the front of the DJ booth. The buzz from the audience reached full pitch when legendary house music icon DJ Kenny Dope began his set. 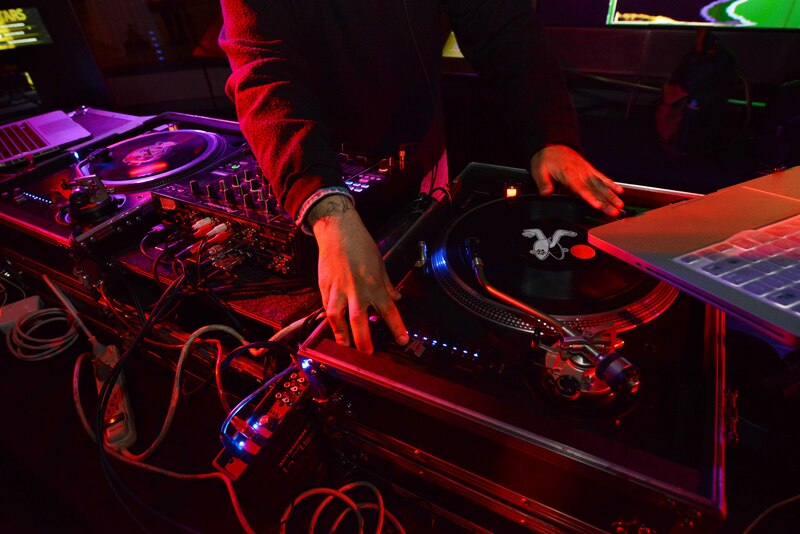 In the world of house music, Kenny Dope is a New York City legend. A native from the Bronx rooted in the dance scene with a career spanning over decades, everyone came to hear him drop some classic house beats. For many who are unfamiliar with the name Kenny Dope might still know his music from the House production team duo “Masters At Work” with house godfather Louie Vega. Together they have created countless classic house records and remixes such as “St Etienne – Only Love Can Break Your Heart (Masters at Work Dub)” their take on Michael Jackson’s “Can’t stop till you get enough” and their own original title “Work”. 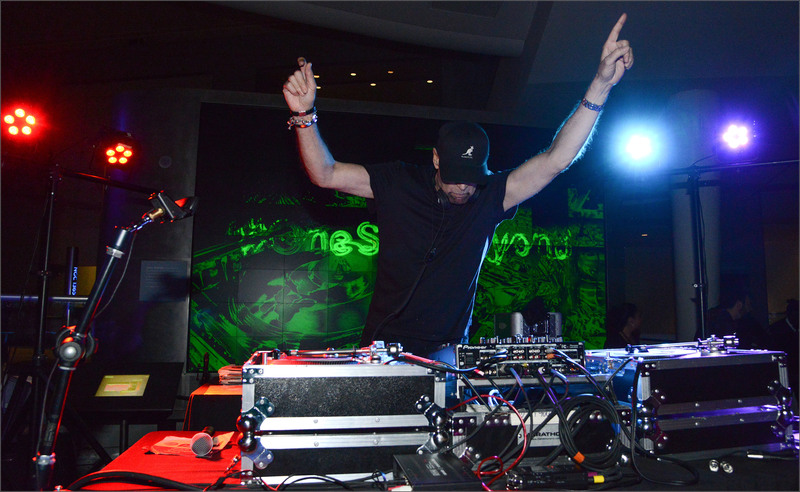 This night, Kenny Dope brought One Step Beyond into a dancing frenzy, while the light show synced up the house beats. 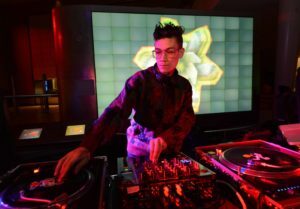 The show’s other headliner, Eli Escobar, also a New York City native and big in the underground DJ scene, kicked off the evening with classic house tracks creating the perfect mood. Escobar has also worked with many different artists and remixed several pop songs. Thanks to their previous collaboration, both Escobar and Kenny Dope there was flawless synergy between the two sets, perfectly woven together. The music coupled beautifully with an incredible light show thanks to Benton Bainbridge from Moving Pictures Gallery, who has been working with One Step Beyond since its inception nearly a decade ago. His lighting team includes final year students at the School of Visual Arts, where Benton teaches “New Forms in Media” at the MFA Computer Art department. The visuals cascading above the planetarium dance floor were impressive and really added to the whole entertainment. 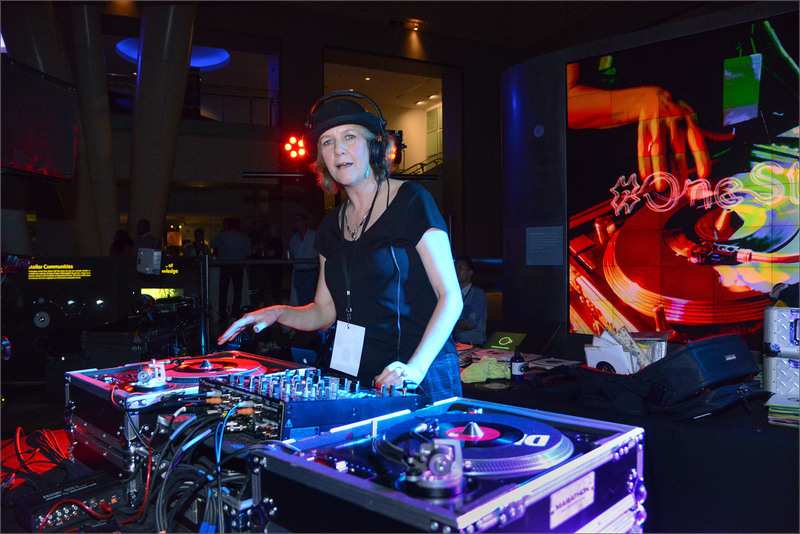 Like many of the previous after-hours DJ shows at the Natural History Museum, the crowd was diverse with younger and older house fans and dance freaks alike. It was an unforgettable and rare treat to see two house legends: Kenny Dope and Eli Escobar perform the perfect set under light shows and galaxy stars of the Hayden Planetarium. 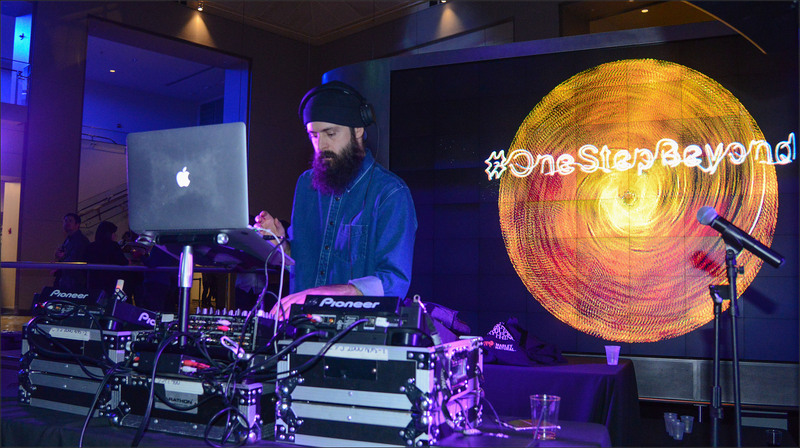 Bottom Line: Traveling at the speed light and booming with Dance Hall beats, One Step Beyond kicked off the season with a twist of Reggae, featuring at all-star DJ line up from Mixpak Records. Review: It is Big Bang as never seen before at the Hayden Planetarium. The Natural History Museum’s One Step Beyond is truly one of the best dance parties in New York City, inviting different DJs from various backgrounds to show off great music. This time, we were treated to a plethora of amazing Reggae DJs who played decades of material, from the timeless tunes of Bob Marley, including Everything’s Gonna Be Alright, Classic Dub Records, 90s Bashment records, and modern dancehall. The Mixpak Records booth was also present, showing off their latest wares. 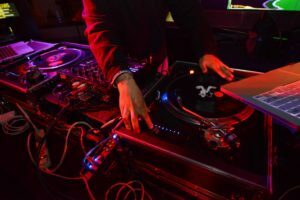 It may seem like a departure from house and hiphop spinners normally at One Step, but Reggae and Dancehall have recently enjoyed a a surge in popularity due to a bigger presence in mainstream Hip-Hop and Pop records. Each DJ was able to mix many of the classic Reggae hits with some of the new pop oriented remixes with ease, and the crowd was loving every beat. 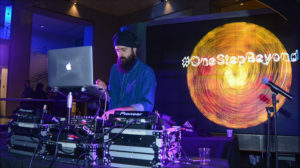 The DJs mixing all have a deep connection with dancehall as well as dance music, and have worked with various artists worldwide. Many of them represent the Mixpak collective. Wildlife! had an amazing set when we arrived and really got the party going. Dre Skull is the label owner of Mixpak, and has worked with dancehall artists such as Vybz Kartel and Popcaan. The Large also pounded the beats during the night followed by Murlo with awesome rhythms. 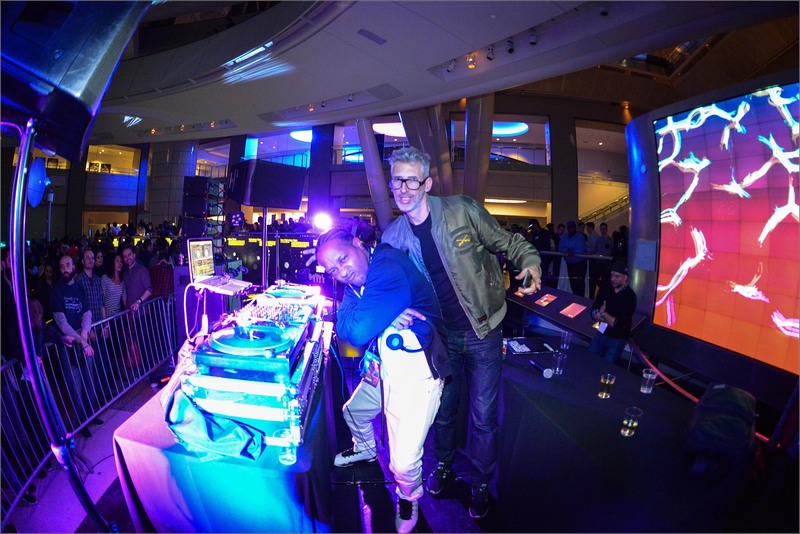 Bobby Konders, one of New York’s the best and legendary reggae DJ’s concluded the night with amazing classics, and even some Soca music for the Trinidadian and Bajan crowd. It was a beautiful night that the crowd won’t forget anytime soon. For more information on upcoming dance parties, visit One Step Beyond. 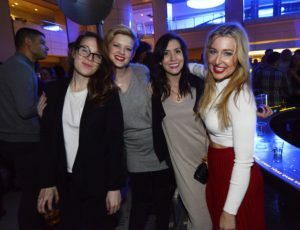 Bottom Line: With a rich heritage and unique flavor, Laird & Companies kicked off its seasonal cocktail campaign event at the mixology mecca of Manhattan, The Pegu Club. Review: Discretely perched on the second floor of a building on Houston Street sits The Pegu Club. Its unassuming exterior hides one of the city’s best cocktail lounges. Far from the popular speak-easy themed bars of Manhattan, Pegu Club needs no gimmicky frills when it serves drinks this good. With its colonial-style, smart interior modeled after a British officer’s club in Rangoon, Burma, it is a sipping paradise that just spells class. This evening, we were treated to something special. 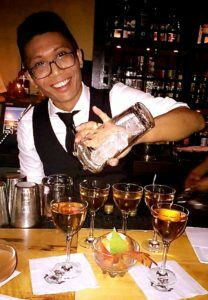 Just in time for the holidays, Pegu Club’s best bartenders showed off their interpretation of the perfect fall cocktail using Laird’s Apple Jack Whiskey. which will soon hit other New York City locations. 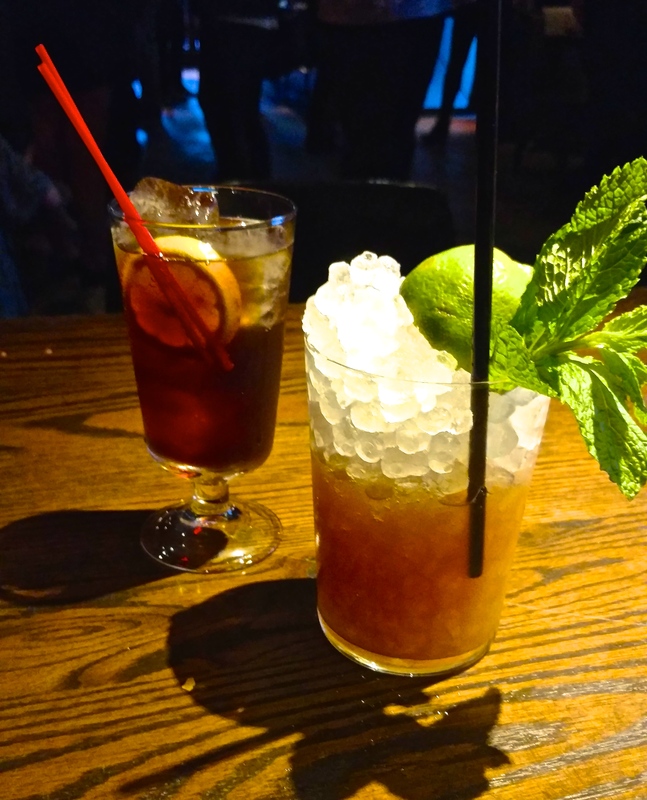 The cocktails offered at the Pegu Club, gave a great taste of what Laid Products have to offer. The intense taste of the Jack Rabbit, which is a mix of Laird’s 100 Apple Brandy, Rum and Apricot Liqueur is sure to quench the taste of lovers of strong cocktails. The Copperhead however, which uses Laird’s 100 Apple Brandy and rye whiskey, is a much more soothing drink and might be better suited for those who have more sensitive palates. Then there is the Golden Delicious which takes Laird’s 7 ½ Year Apple Brandy, honey, and lemon juice to create a powerful yet sweet drink that will have you coming back for more. Laird & Company sent also the guests off with bags full of apples (including a candied apple! ), a Laird’s cookbook and a bartender guide to make various Laird based cocktails. 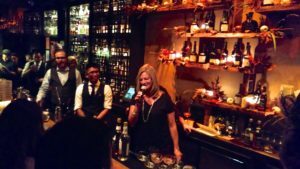 Lisa Laird Dunn explained the process of making the Apple Jack Whiskey and how the Laird family has been making spirits since the founding of America. 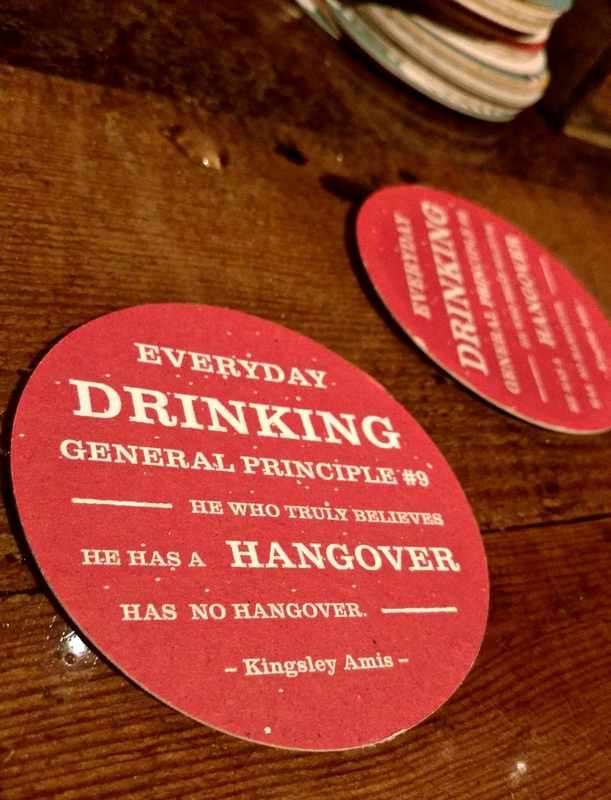 For over two centuries, multiple US presidents, including General George Washington and Abraham Lincoln, have enjoyed the Laird families’ drinks. Bottom Line: A wonderful chill lounge with delicious dishes and spectacular cocktails that will surely have you coming back for more. 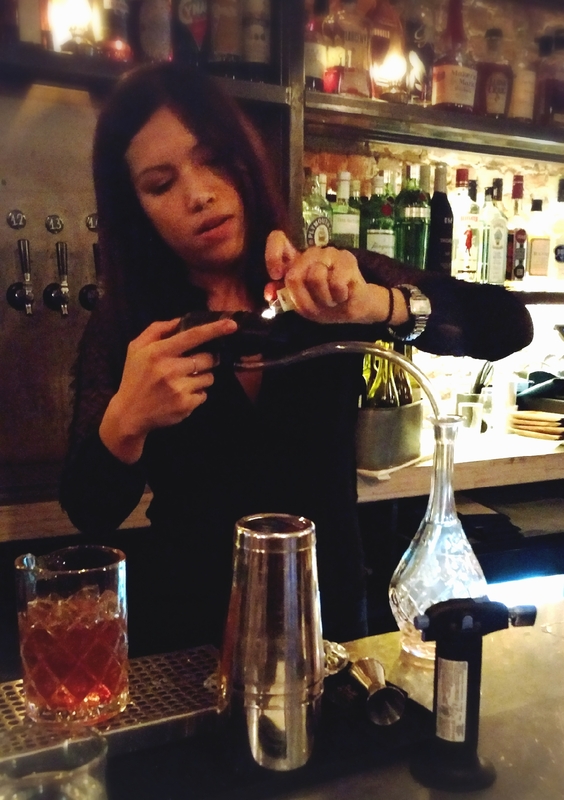 Review: Bottle & Bine is a lovely lounge located on Second Avenue, which is a great place for a fun evening getaway. On this particular evening, Bottle & Bine was promoting their new fall cocktails and new dishes. The entry to the bar introduces you to a relaxed decor, and the bar has two levels, with additional tables upstairs if you are looking for more cozy seating. 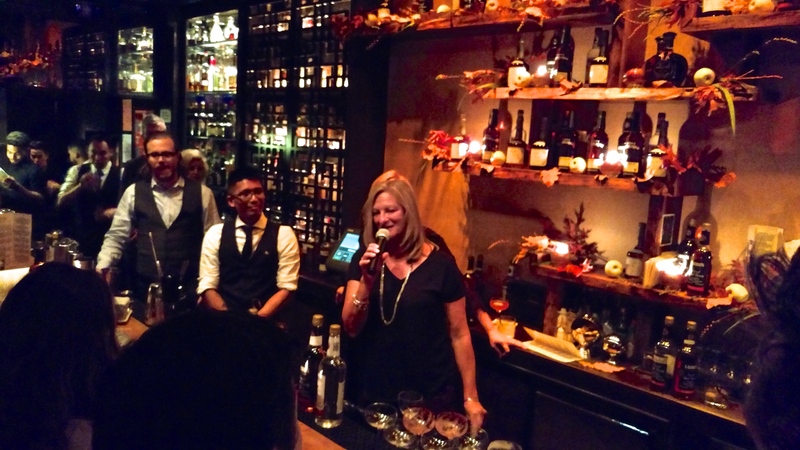 The main event however, was to showcase the new upcoming cocktails and dishes which would give off a seasonal fall vibe. The new fall cocktails were shown off showcasing 2015 New York’s best New York Bartender finalist and Cocktail and Beverage Director Moses Laboy’s creations. His theme using smoke, spice, and butter ingredients truly showed a mastery of exquisite flavors. His cocktails, such as the Captain Everything, manages to combine Mount Gay Rum, Cinnamon, and Star Anise Smoke into a delicious smooth drink. Another drink, the Normal Man, mixes in Applewood Smoke, Peychaud’s Bitters, and Elijah Craig Bourbon, which made an intense soulful cocktail. In addition, the food that was served was delectable with Executive Chef Angie Berry showing off her dishes. With dishes such as the Braised Pork Cheek and Wagyu Steak, you get a sense of fine cooking that complements the season. 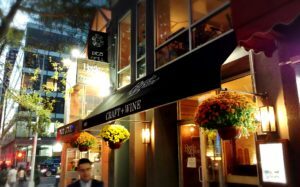 With excellent cocktails and amazing food, Bottle & Bine is definitely a great place to bring a special someone or a few friends during the colder months. For more information on Bottle & Bine, please visit their website. The Bottom Line: One Step Beyond wows us again with awesome classic tracks and 3 amazing DJs hitting up the turntables! 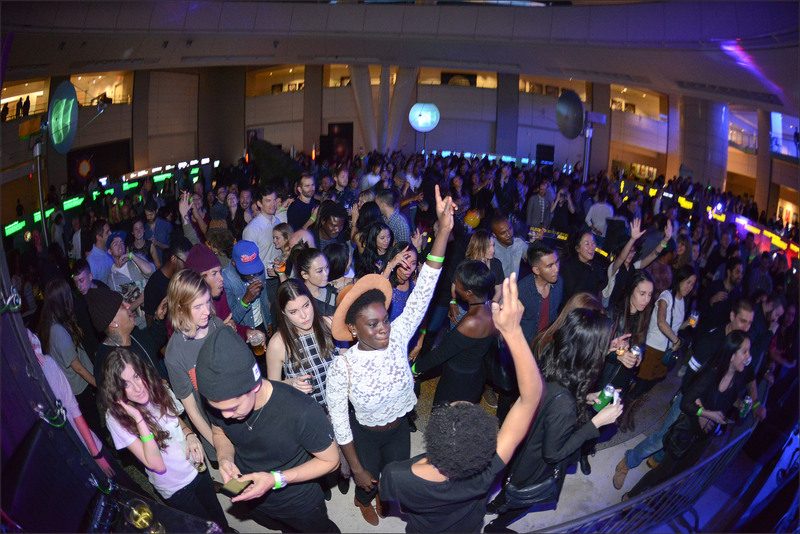 One Step Beyond at the Hayden Planetarium is an awesome party everyone must experience if they are into the Cosmos and great music. In addition there’s a great video on The Big Bang guests can watch upstairs, and afterward they can walk down and see the time-line of the Universe from the Big Bang to the modern era. With 3 DJs on the turn tables, the night was full of awesome hits. DJ Misbehaviour, Joey Carvello, and Arthur Baker really bought the house down and the night felt like an old school New York City club experience. At one point a huge break dancing circle developed and everyone was busting out out their best moves. 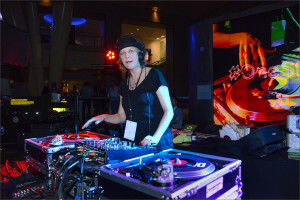 The fact that only records were used was great and made the night unique, setting it apart from other parties that rely heavily on laptops and software. This One Step Beyond party was a little less crowded than the past ones, but that made the experience more enjoyable in some ways. 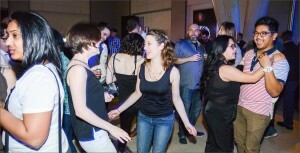 The lines for drinks were shorter, and there was more room to dance and have a great time. Check out the Next Party on June 10th with DJ sets by DâM-FunK, Waajeed, and Shawn Dub.